There are a lot of companies trying to innovate in the payments space and make our life easier when it comes to paying for stuff (Google Wallet, Paypal, Square, just to name a few) but none have really "won the game" yet. 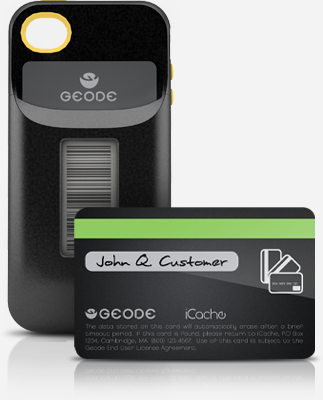 Geode is an iPhone case that lets you replace all your different point cards and credit cards. 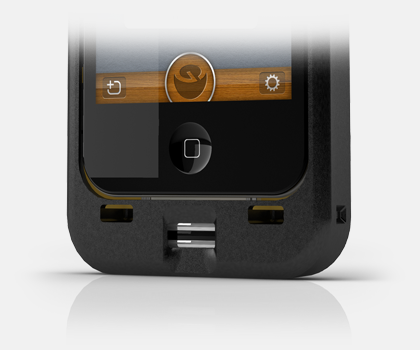 You need to install the app on your iPhone and then the Geocode case displays the barcode of any saved loyalty card on the e-ink display on its back. So you can continue to use your cards regularly, at any location that accepts regular cards, except they are all now stored electronically inside your phone. It has both a barcode generator and a magnetic strip generator so it can disguise itself as any barcode or magnetic card (like a credit card) on the fly. I think the great thing about iCache Geocode is that it doesn't require any changes in infrastructure. It will work with any store that accepts a credit card or has a loyalty point card. 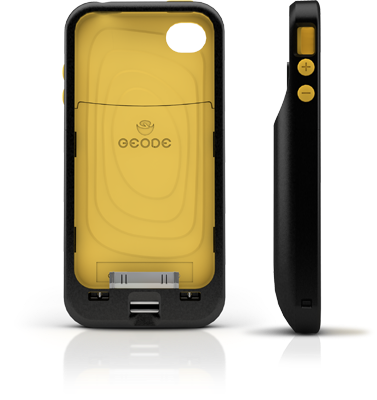 In addition the Geocode also has a fingerprint scanner to ensure that only the owner of the case can access the cards stored in it. The fingerprint scanner uses Live Finger Detection, so it wont work if you cut off somebody's finger in order to try to open it (good luck explaining that to the guy chopping off your finger). iCache Geocode is now being funded on KickStarter, which means that you can help support its development and get early access to the device once it's out. They are planning on shipping in May this year for $199, but if you back it on KickStarter you can get it for $159.